If you own a boat (or better yet, as the joke goes, you know someone who does), you’ve probably thought about spending some evenings on the water – especially in the summertime. It’s a great thought, of course. But, when you’re boating after dark, you need to think about staying safe, even as you enjoy the stillness of the water and the starry sky. 1. Have a plan – and tools to help if it goes wrong. Don’t go boating at night in an unfamiliar place. You can’t see as well, obviously, so stick to where you know the ropes, so to speak. And because things look different in the dark, make sure you have the correct navigational tools in case you get lost. Always give a friend or family member your “float plan.” Include where you’re going, your boat’s description and registration information, who’s with you and when you’ll be back. 3. Check – and dress for – the weather. On top of the other difficulties of boating at night, you don’t want to get caught in a storm if you can help it. And you want to be comfortable, so be sure to bring clothing appropriate for the forecast. A sweatshirt, blanket and extra towels may come in handy, even in the summer. 4. Do a pre-trip inspection. This is good advice for daytime boating as well, but at night it’s crucial that your navigation lights work, for starters. You also need a horn, plenty of fuel, a radio, a flashlight, flares, fire extinguishers and life jackets for all passengers. Speed is a factor in many boating accidents, and the limited visibility at night makes the water even more dangerous. Remember, you aren’t going to be the only one on the water at night, so know the right-of-way rules. Know how to monitor the navigation lights of other vessels to recognize which direction they are going. Be particularly cautious about small vessels, such as canoes and kayaks, as well as anchored or drifting boats. Their lights can be easily confused with lights onshore. 7. Don’t get distracted – or drunk. It’s never okay to drink and operate a boat, so be sure you have a designated driver. And, though you’re out there to have fun, make sure you can still hear the sounds from approaching vessels. Keep the stereo low and your ears open. While these tips are important, there’s nothing like experience to help ensure a safe voyage. 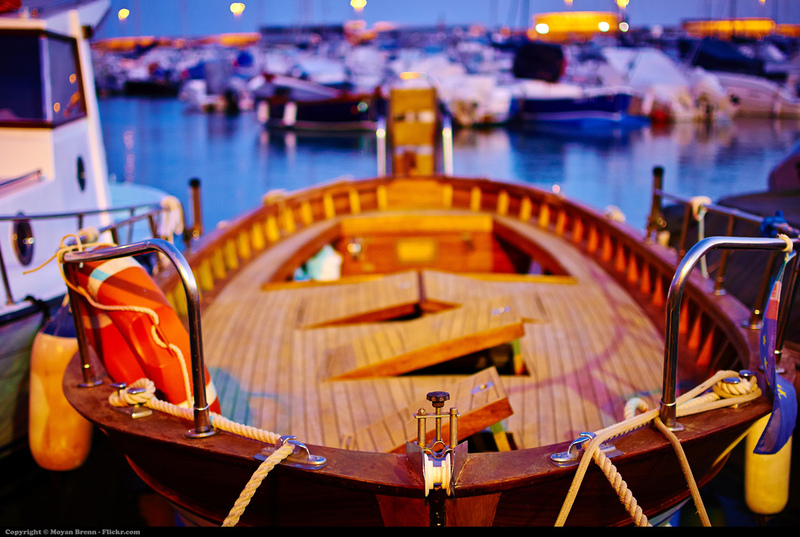 If you’re a new boater or just in an unfamiliar vessel, you may want to put in more hours during the day before tackling an area at night. Even then, start with short evening outings and work your way up to a moonlight ride. And don’t forget to turn on the lights at the dock before you go! Top image by Flickr user Moyan Brenn used under Creative Commons Attribution-Sharealike 2.0 license. Image cropped and modified from original. Copyright © 2019, Lakepointe Insurance Agency All rights reserved.